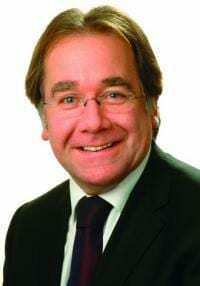 New Zealand’s Foreign Affairs Minister Murray McCully has spoken out against the recently announced new settlement building plan and called for both the Israelis and the Palestinians to sit down and talk peace. According to a report in from Radio New Zealand the continuation of the settlements process is “an impediment to peace”. Does “an impediment to peace” include firing missile, rockets and mortars at Israeli civilians? Now, now Henry. You know it’s OK to fire rockets into Israel. It’s all her fault !!!!!!!!! Come to think of everything in the world is.!! I would have thought that a greater impediment to peace is the Palestinians. Their leaders, both Fatah and Hamas, educate the people to believe that Palestine will be free from the river to the sea. Palestinians believe their leaders – they support them. They are fed propaganda daily that incites violence, murder and hatred. And all this clown can talk about is flats. Why should Israel stop its resettlement programme? Did anyone give a toss when the UN decided to initiate the P.A into its fold – regardless of the fact that it is a terrorist regime – hand in glove with Hamas and eager to see the demise of Israel. Israel unfortunately is very much alone in this scenario – damned if it does and damned if it doesn’t.